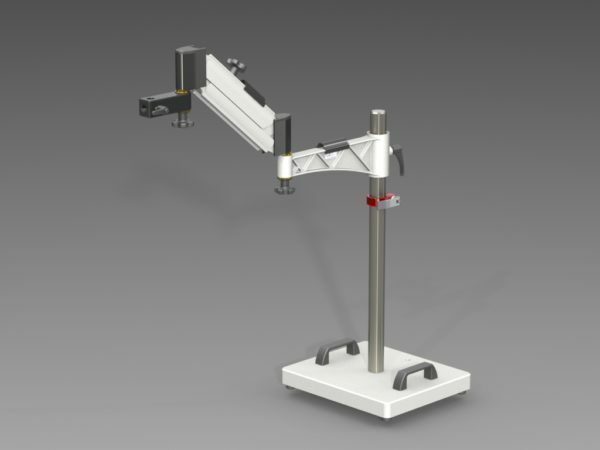 Lift Articulating Arm offers the greatest amount of reach along with ease to vertical positioning. The arm is available in a 27.5 and 21.5 inch extension lengths. Approximately 15 inches vertical travel, plus/minus 7.5 inches from horizontal, is controlled via a gas spring counter balance providing a “safe” lift and descent. The counter balance also allows “free floating” of objects from 0- 20 lbs. An ambidextrous vertical position lock is provided. 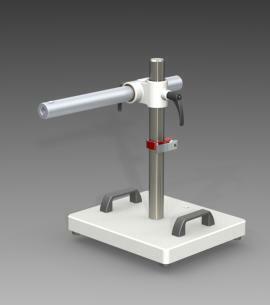 The arm also accept the industry standard 5/8″ “Bonder” pin mounted end on, above and below the bar.